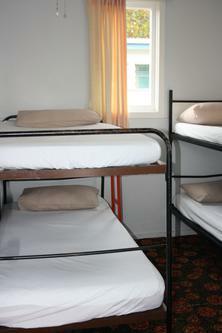 Basic Cabin: Double bed - Heater, table and chair. Our Basic Cabins are perfect for couples. There is plenty of room for parking. 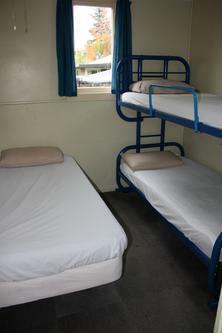 The beds have pillows and a bottom sheet only and you can bring your own bed linen and towels, or you are welcome to hire them from us here at the Holiday Park. Plates, cutlery, pots and pans are provided for you and the communal kitchen is close by so you can prepare all your meals. Our camp has comfortable (mainly 2 berth but some 3 or 4 berth) cabins equipped with beds or bunks, mattresses pillows, heater and a table and chair. *All guests bring own bedding. Basic Cabin: 3 berth - Heater, table and chair. Our Basic Cabins are perfect for couples, families and groups. There is plenty of room for parking. 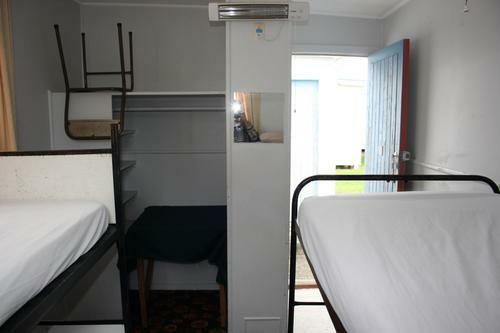 The beds have pillows and a bottom sheet only and you can bring your own bed linen and towels, or you are welcome to hire them from us here at the Holiday Park. Plates, cutlery, pots and pans are provided for you and the communal kitchen is close by so you can prepare all your meals. Basic Cabin: 4 berth - Heater, table and chair. 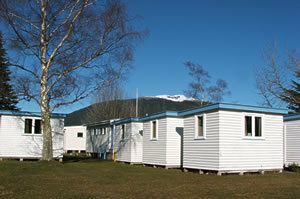 Our Basic Cabins are perfect for couples, families and groups. There is plenty of room for parking. 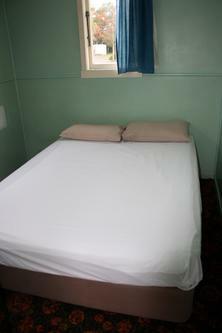 The beds have pillows and a bottom sheet only and you can bring your own bed linen and towels, or you are welcome to hire them from us here at the Holiday Park. Plates, cutlery, pots and pans are provided for you and the communal kitchen is close by so you can prepare all your meals.